Registration Make-up day. 10AM-2PM in the school office. Welcome back Coffee in the MPR right after drop off! The Pleasanton Unified School District requires TWO(2) different valid forms of Proof of Residency at the time of registration. You must have these valid forms of proof of residency with you on Tuesday, or you will not be able to complete the registration process. Please note: Originals only, no copies, please. The district does not retain these documents and once verification has been made, you will take them with you. Find out class assignments for your children. Join PTA and receive many discounts from Ptown Shops Pleasanton and SchoolDirectory! Spirit Wear includes: child and adult t-shirts and sweat jackets! Pick up School Supply Kits(SSK) for grades 3-5 and Discovery 2/3. Please note: All pre-purchased SSKs for grades K-2 are delivered directly to the classrooms. Purchase Back to School Dinner tickets. Sign up for the Breakfast Book Club! This is going to be a great year full of learning and fun! To achieve this, we need your help. We would like to encourage families to make a direct donation to Walnut Grove Elementary through our "Dollar a Day" program. When you contribute to the Dollar a Day program, a 100% of your donation goes to supporting our students here at the Grove. We request a booster donation of $1 a day for every day of school. That is just $180 per student for the entire year. Your "Dollar a Day" donation will provide funds to continue to support critical personnel and programs central to our children's learning. Please take some time to reflect upon the impact a quality education has on our children and our community. Most tax payers qualify for a 30%-50% tax deduction on donations to non-profits. Walnut Grove PTA is a non-profit organization. Therefore, if you gave $100, you'd be receiving a minimum of 30% back in taxes on that donation, resulting in your actual out-of-pocket donation ranging between $50-$70. And, Walnut Grove PTA would still receive $100. Finally, please check with your employers for matching funds! Bring your company forms to registration or drop them in the PTA room in the office and we will do all the processing on your behalf. We are grateful for all the help and money that Walnut Grove parents give to better our children's education. Together with our teachers and staff we make this one of the top public schools in the state. In these tough economic times, it is up to us as a community to keep Walnut Grove top notch. Back to School Night is for adults only. hearing about plans and expectations for the upcoming year. * Please note that parents only need to attend one MP session. Do you know that by joining WG PTA you get discounts from local merchants through the PTA Shops Ptown Program? There are over 22 local business that offer discounts when you show your PTA membership card and they are working on adding more. Next time you have a game at the Sports Park, try Chicago Deli. Delicious lunches and catering. Now serving dinner Thurs and Friday nights. Full service dry cleaners, including laundry, leather cleaning, and alterations. From Pre-School to Adults. Private Tutoring, homework clubs, and Spanish Camps! For more local merchants enrolled on the program, please click here. You will be able to join Walnut Grove PTA on Registration Day. Our goal is to Make Reading Fun for Life! The Walnut Grove Breakfast Book Club, (BBC) is back for its fifth year! Our club meets on 7 Wednesday mornings throughout the year from 8:15 - 9:00 a.m.
Children in grades 1-5 will take part in fun discussions in small groups led by trained, volunteer parent leaders. The $55 dollar fee per child includes: the books and breakfast (fruit, bagels, juice, milk and doughnuts). Click here to download registration form. Join us on August 23rd, right after drop off, in the Multi Purpose Room (MPR). Catch up with friends, make some new ones and hear what our Principal, Mr Vranesh, has to say about the new school year! It is Back-To-School BBQ Time! Mark your calendars and Save‐The‐Date! It’s time for Walnut Grove’s Back to School BBQ on Friday, September 9th! We’ll have a DJ providing dance music and BBQ catered by Cabana Dave's! Tickets will be on sale at Registration Day. An Adult Meal is $10 and a Child Meal is $7. Our fall BOOK FAIR is just around the corner!!! At the Book Fair you will find the latest and finest titles for both kids and grown ups alike. What a great way to get everyone excited about reading and you can even contribute a book to your child's classroom library! We invite the entire family, including extended family and grandparents, to our Fall Book Fair being held during our Back-to-School BBQ! Have a great week and we'll see you in the Multipurpose Room on the 8th and 9th! A brand new design will be available this fall. Stop by our table at registration for your eco-chic reusable bags. Fabulous designs with wide variety of uses at great prices! Reduce your carbon footprint, look fabulous AND support Walnut Grove! All communication from the school is done electronically. To sign up for PTA Roadrunner and Mr. Vranesh's Newsletter click here. Follow us on Facebook, click here. For suggest school supply list supply lists for 2011-2012, please click here. Please note that Traditional and Discovery supply lists are different for each grade. Pleasanton Partnerships in Education Foundation, a community-based organization, exists to enhance learning experiences for students of the Pleasanton Unified School District through a partnership of business, education and the community. Quality education is invaluable....be a part of the solution! 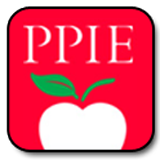 If you didn't get a chance to stop by the PPIE table at Walk Thru Registration, you can still help support these district wide programs and services at risk for the 2012-2013 school year. A suggested donation of $150 per student will assist in maintaining some of the critical programs and services listed above. All contributions are 100% tax deductible (Fed Tax ID #94-3046738). You can make your donation go twice as far with company matching. Please check with your employer to see if they will match your donation to Pleasanton Partnerships in Education. Sign up for email newsletters from the PTSA and messages from the school office. and be part of the solution! 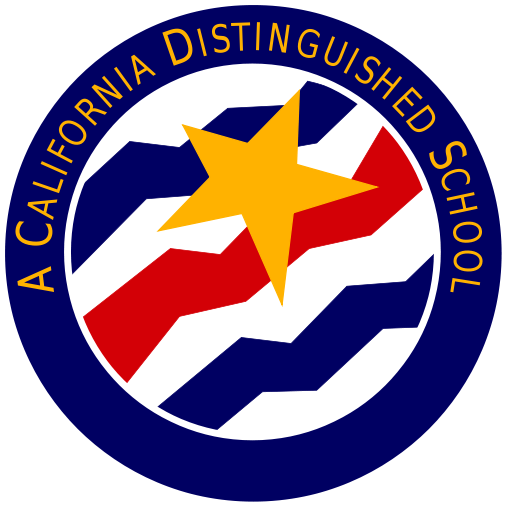 PUSD Disclaimer - Pleasanton Unified does not necessarily endorse or sponsor the content of any written or electronic material displayed or provided. This information is provided for your convenience. Parents/guardians are responsible for determining the potential merits of such providers.